How many Iron Man fans do we have here? Did they do a good job with the recent films or what? 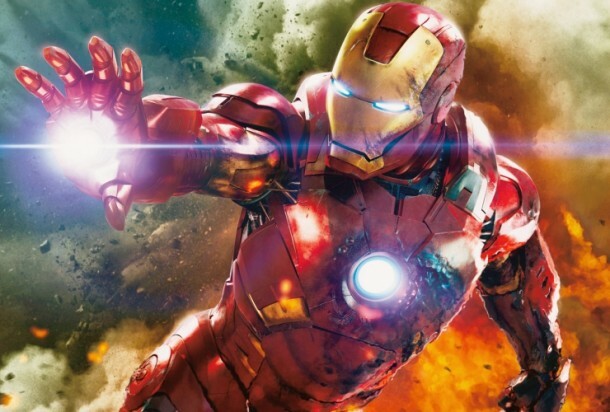 Robert Downey Jr. has totally rocked the movie and Iron Man is enjoying an exponential increase in its fan base. It’s like a dream come true for many people; a suit equipped with technology thats out of this world and all the cool gadgets that come along with the obvious benefits of the suit. Perhaps it was these benefits which have inspired the United States Military and has resulted in the commissioning of a Tactical Assault Light Operator Suit. The suit is designed to enhance human abilities while providing the user with some superhuman abilities as well. These abilities include; Night vision, enhanced strength and, the best part, protection from bullets. So basically you’d soon see users of this suit walking through gunfire without any fear of harm. Let’s take a look into the design of these suits. So basically we are going to have an on-board computer installed on each suit (kind of obvious) and this computer will respond in real-time to particular situations and will provide the user with improved situation awareness. The suit will be employing the use of liquid armor which is being developed at MIT and is known to transform from a ‘liquid to solid in milliseconds when a magnetic field or electrical current is applied.’ This liquid armor is what will be making the suit bulletproof. The ultimate goal is indeed full-body ballistic protection. Apart from that, a panel resting against the skin would detect and respond to body’s core temperature, skin temperature, hydration levels and heart rate. Basic life support will be provided by the suit as well which would include oxygen, air and heat. 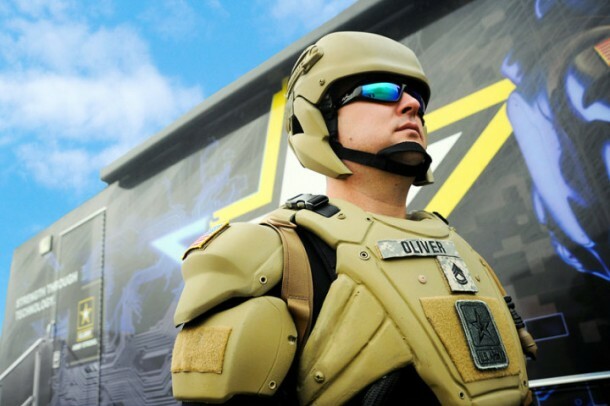 Although US Army has taken Iron Man concept to reality, it isn’t the first one to do so. Another Iron Man inspired creator is Elon Musk who has managed to build a lab which relies on Leap Motion controller, an Oculus Rift and a projector. Although he himself has admitted that there is not much practical value of the system, he is still hopeful that this is a landmark for next level technological breakthrough. 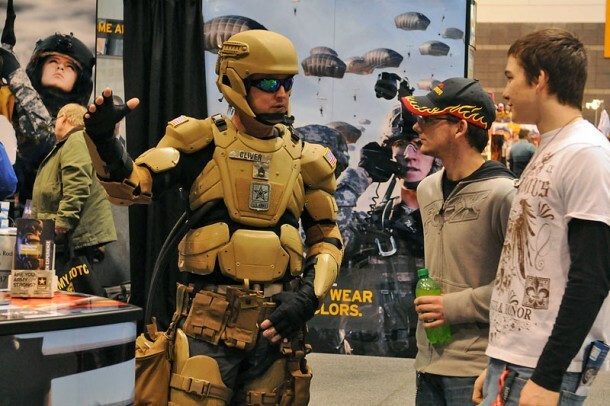 Fingers crossed for the Army suit though, which would definitely take defense technology to new levels. This suit reminds me more of the Spartans from Halo. The reason they don’t cover the face is because it would cloud a soldier’s field of view, and essentially kill all peripheral vision. Its the same reason the military doesn’t use ballistic face masks. those sunglasses aren’t authorised. AR670-1 is punative now you better watch out. Why the designers don’t cover the face and fingers, the protection is not complete. The fact that we have this tech does not mean we should promote violence but rather strife for world peace. You can’t even spell. You mean strive, not strife. Strife means violent disorder. Uh…wouldn’t an increase in defense tech also result in an increase in offense tech? I dont care if it works or not. I love the idea that we are now more concerned with the fighting man instead of the weapons they are using.the most impotant part of any battle should be the fight to keep your men alive. There ain’t no profit in in peace so we must fight some more. The dead will make him surrender and give up. How much strongest man will not be able againts to the dead. The God only we are asking the protecttion and power. Once again this is more of an adaptation of the ODST Armor, from the game HALO….. Check out video from HALO3 ODST . It is strange that they would take the time to build all of this armor, and forget the neck and face?? Why? Because the entire program is based upon the macho ego! There’s always an Achilles heel to every technology. Even if they do completely cover up everything with armor, the truth of what they’re doing is only furthering the war machine, which no lasting good can come from. B) Get stuffed you pinko you. The armor may protect against small caliber bullets, but it simply doesn’t have the weight to protect against large bullet’s kinetic energy. Furthermore, if it is able to take hits to the head, then it must be nearly air tight and must have a breathing apparatus. Finally, the heavier it is, the more vulnerable it will be to the battery wearing out in the field. My suggest is a LOX tank that can also be used for small bursts of rocket thrust for quick jumps and soft landings, as well as for breathing and electrical power fuel.